Contents: A Cultural Review Of Ireland And The World. A magazine which serves the pluralist movement in Ireland. Contents: PLEASE NOTE: No delivery charges will be taken for this item. Contents: A quarterly magazine devoted to an historical examination of independent Irish foreign policy. The IPR carries analysis of Irish and Northern Ireland current affairs, as well as items of European and international significance. Current and past editorials from the IPR can be read on this site. Some past issues of the magazine may also be downloaded from there. Contents: Monthly journal of the Bevin Society. Contents: Formerly: Problems of Capitalism & Socialism, Problems of Communism. Contents: Please note: no postal charges will be taken for this item. 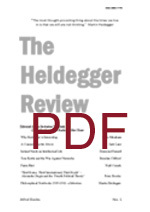 First issue: July 2014. Contents: Editorial (One): Some WW1 Philosophers and Poets Editorial (Two): Overlooking Chamberlain. 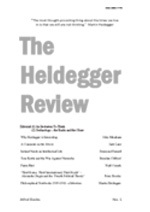 Donatella di Cesare On German Philosophy and Nazism Absolute Beginner: review of "Martin Heidegger - The Philosophy of Another Beginning" by Alexander Dugin (Peter Brooke). Arthur Balfour, England's Philosopher-King. (Brendan Clifford) War and Progress (Pat Walsh) "Towards a Criticism of the Age (1912). Thoughts on Progress" by Walther Rathenau. The Early Poetry of WW1 (John Minahane).